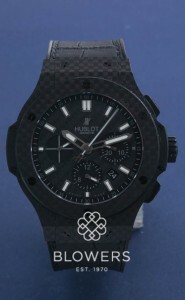 Hublot is closely connected with the world of sport – football especially. 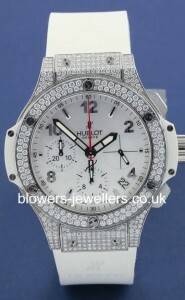 Established in 1980, Hublot watches for men and women are highly distinctive, and known for their bold use of colour. 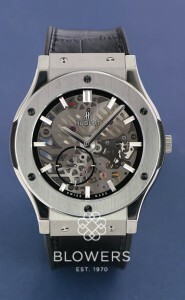 The oversized Big Bang model is especially notable. Finding huge success since its release in 2005, it has won multiple awards. 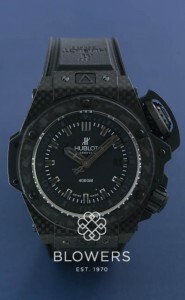 Other popular collections include Classic Fusion, Spirit of Big Bang, the MP Collection, and Novelties. 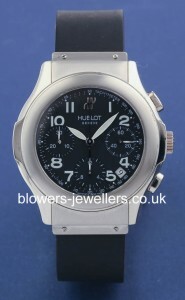 Browse Blowers’ collection of carefully selected pre-owned Hublot timepieces in unused and used condition. 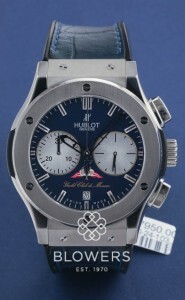 All watches on our website are physically in stock at our Kingston upon Hull boutique, and can be viewed, by appointment at London office in Mayfair.